AVA is a familiar acronym in my daily life, but I acknowledge for so many wine lovers, it may be a bit of an unknown. American Viticultural Area (AVA) is a designated winegrape-growing region. This designation, believe it or not, exists to de-mystify wine and help you make decisions. I stake no small amount of volunteer hours trying to get AVAs to make more sense...so I hope if the relevance eludes you now, maybe it will not forever. 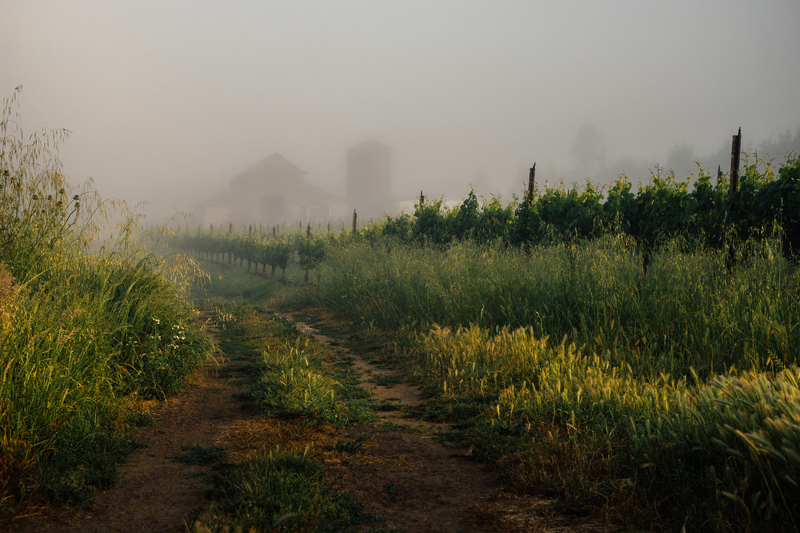 Smaller, more specific AVAs that can help a person identify exactly where a wine comes from geographically and therefore, what the probable characteristics of the wine will be is the key to American wine in the international dialogue. And, key to your happiness of what’s on your table or kitchen counter on any given evening. How about being pleasantly pleased with the quality of a new producer from an AVA you generally love instead of feeling a little double-crossed by a wine from a huge region that reminds you nothing of what you tasted last time…and perhaps you paid too much for that disappointment, to boot? The wind and the fog are the Petaluma Gap’s trademark. The “Gap” is a wind gap named after a coastal mountain opening that stretches east from the Pacific through the town of Petaluma and then roars south to San Pablo Bay. The Grand Vent Vineyard in the Petaluma Gap has been a part of Ernest from our very first bottling. This place sits only about 8-miles as the crow flies from Tomales Bay, you can see the Pacific, you can taste the salt air...and the wind is a marvel. We get such gorgeous flavors while the grapes hang out in that cool wind that we ferment with a lot of whole cluster. This wine is 50% whole cluster (yes, the whole bunch went into the fermenter instead of just the berries) and the energy, vitality, tannic nature of the wine seems to express its gratitude for it. Watch out, this one is going places. The core is deep and dense and then brightens beautifully on the edges, a hint at its site in the west Petaluma Gap where the wind is ever-present. The aromatics match the density of the core, bridging the red/blue fruit spectrum. The candied bramble bush aromatics follow through on the palate with a lushness supported on firm tannin and lengthy acid.